Rob Allenby added: “This is an important feature for hire companies – as a true ZHS machine, the E27z offers the highest flexibility of movements when working close to walls, coupled with best-in-class 360-degree stability and a low weight for easy transportation. 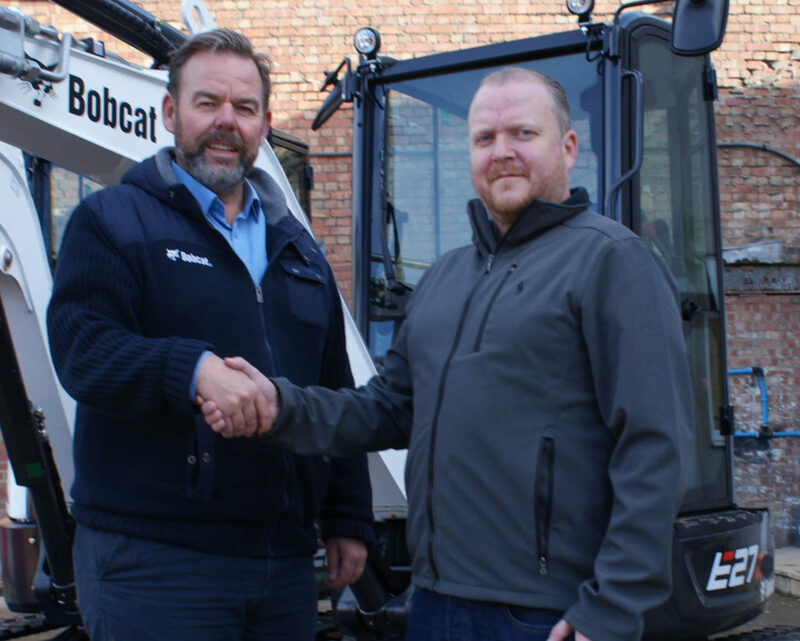 Picture caption – l to r – Alan Sams, Bobcat UK Sales Manager and Rob Allenby, owner of KC Plant. Copyright © Sheen Publishing Ltd. Reproduction in whole or in part strictly prohibited.